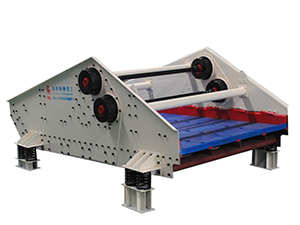 Dewatering vibrating screen is specifically designed for mineral screening and dewatering processes, which can realize the separation of different size particles and dehydration to conveyable discharge cake of material at one screen panel and at the same time. Screening and dewatering is a process in which water and materials detached when the material passes through screen surface in a thin layer. 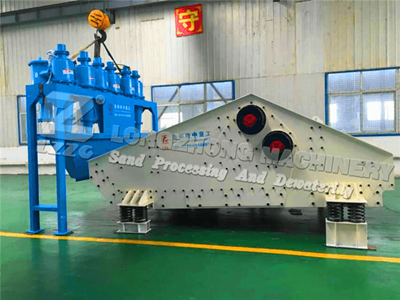 Dewatering vibrating screens is ideal for applications in sand, gravel, aggregate, frac sand, mineral, ore, coal, tailing, clay, etc. The screening mesh is usually 0.16mm, other mesh all can be customized to meet your needs. Two mutually unconnected vibrators that driven by the tape coupling shaft for synchronous reverse operation, and the centrifugal forces generated by the two sets of eccentric mass are superimposed along the component of vibration direction, and reverse centrifugally canceled, thereby forming a single excitation vibration to make the dewatering vibrating screen as a reciprocating linear motion. 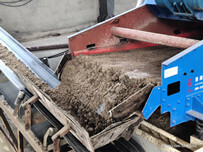 The concentrated materials are continuously threw up and down on the screen, and the materials are loosen and crashed to the sieve, the small size materials are filtered away from the sieve holes. Finally it reaches the aim of classifying, dehydrating and desliming. 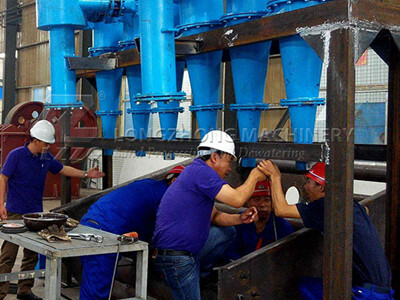 1.Effectively separate several different size particles. 2.Water content of final products as low as 12%-15%. 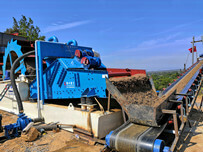 3.45°angle install increases the screening and dewatering area. 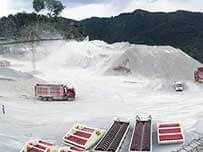 4.High efficiency, large processing capacity and strong vibrating force. 5.Adjustable vibrating frequency to meet different requirements. 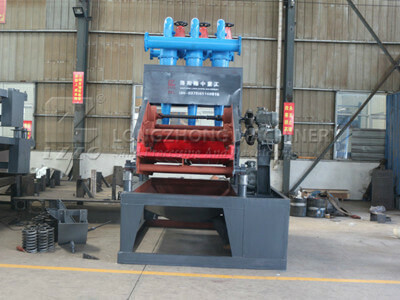 6.Torsional shear type high strength bolts are used between side plates and beam. 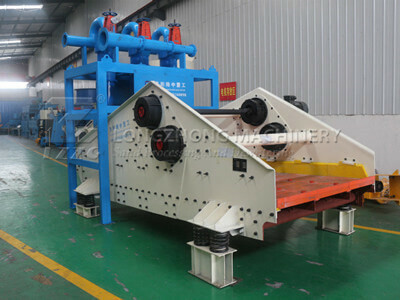 7.Polyurethane screen with better elasticity and less blocks. The PU side push plates protect the equipment from the rushing material and guard the long life of the whole device. 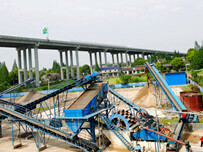 8.Simple structure and easy operation and maintenance.